Don’t just dump the cream mixture directly into the soup or it will be lumpy. Yuk. 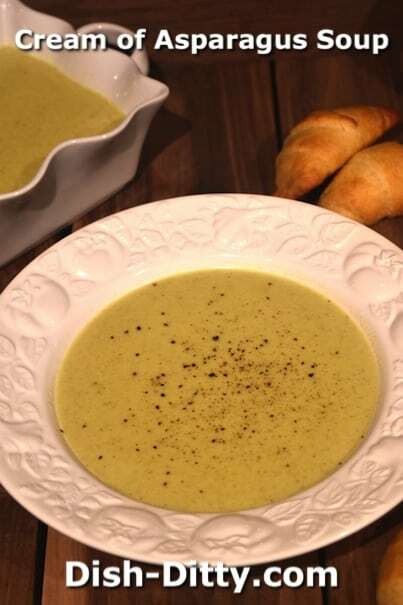 Instead, follow the instructions and add some of the asparagus stock slowly to the cream mixture to prevent lumps and allow you to have a delicious, lump free soup. That’s it. Really, it is simple if you remember those few things. Enjoy! This pretty, easy-to-make first-course soup is flavorful and creamy. There's no skimping on ingredients here: Real butter and real cream. In a large pot, add the dry white wine, chicken broth, asparagus, onions, white pepper, and thyme. Bring to a boil, reduce heat, cover and simmer for 20-30 minutes. While the soup is cooking, prepare your cream. In a medium saucepan, melt the butter on medium heat. Stir in the flour and cook, stirring constantly for at least one minute. You can cook for longer (I usually do about 2-3 minutes) as the flavors will intensify the longer you cook the butter/flour mixture (a.k.a. roux). Slowly add the cream, stirring constantly. Continue to cook on medium heat, stirring constantly, until mixture is thick and bubbly. DO NOT BURN! Be sure to cook on a medium, not a high temperature, and keep stirring! Remove from heat and wait for the asparagus soup to be done. Once the asparagus is soft, use an immersion blender and blend the soup until smooth. You can also put it in a blender, but be very careful, as it is super hot. 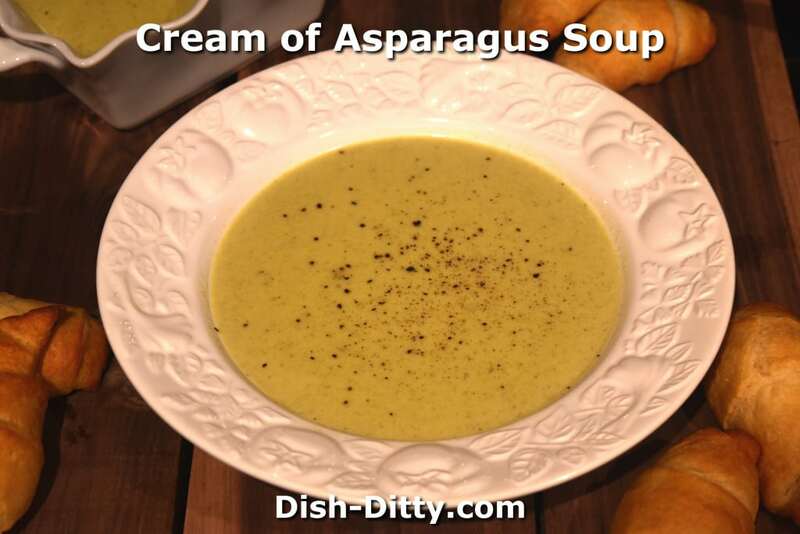 Once the soup is blended, add a ladle of asparagus soup slowly to the cream base, stirring constantly as you add the soup. Once it is fully incorporated, do this 3-4 more times. 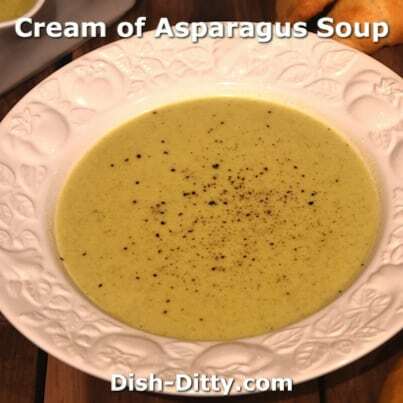 Then, reverse the process, and stirring constantly, slowly stir in the cream/asparagus mixture back into the asparagus soup. No Replies to "Cream of Asparagus Soup Recipe"